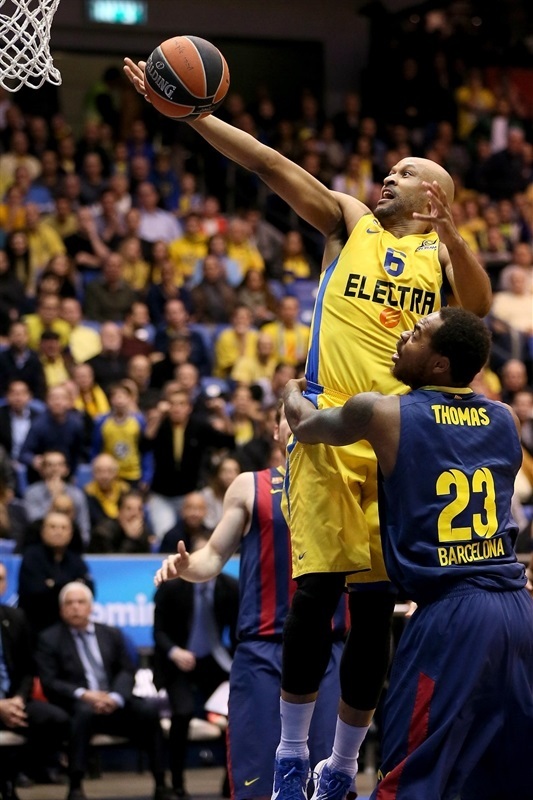 Reigning champion Maccabi Electra Tel Aviv snapped an eight-game losing streak to FC Barcelona in the Turkish Airlines Euroleague Top 16 dating back to 2009 in knocking off the Spanish giants 70-68 at home in a Group E slugfest. 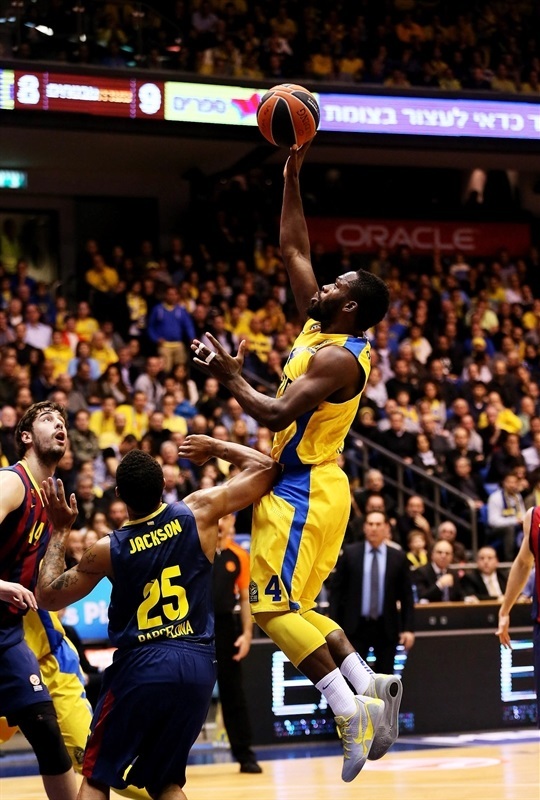 Jeremy Pargo collected 20 points, seven assists and the game-winning free throws with 2.4 seconds left as Maccabi won its 500th Euroleague level game in its 800th contest in Europe’s top competition. Devin Smith chipped in 15 points, five rebounds and a huge block with three seconds to play while Sofoklis Schortanitis had 11 points and nine rebounds and Brian Randle picked up 10 points and eight rebounds in helping Maccabi to improve to 2-1 in the group. 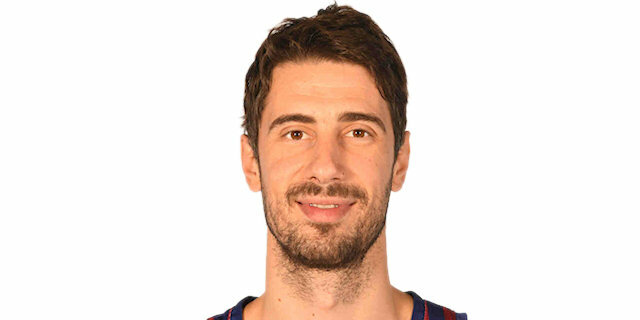 Barcelona dropped to 1-2 in the group despite 21 points, 10 rebounds and three blocks from Ante Tomic as the only Barcelona player in double figures. Alex Abrines scored eight points and Mario Hezonja picked up seven points, three rebounds and two assists off the bench. 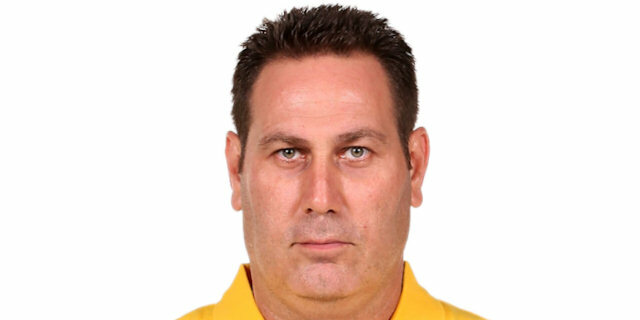 Maccabi coach Guy Goodes kept the same starting five with Yogev Ohayon, Pargo, Randle, Smith and Schortanitis. 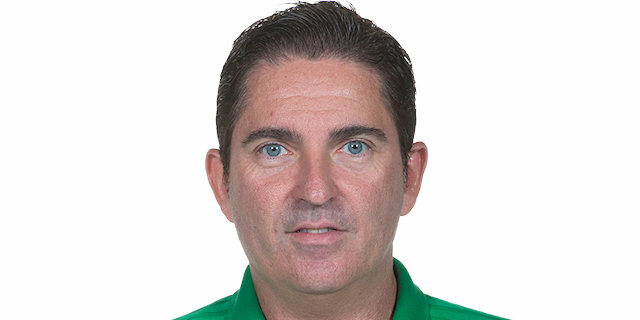 Xavi Pascual made one change to his lineup as Tibor Pleiss made his first start in place of Tomic – after not playing last week – alongside Marcelinho Huertas, Edwin Jackson, Justin Doellman and Deshaun Thomas. 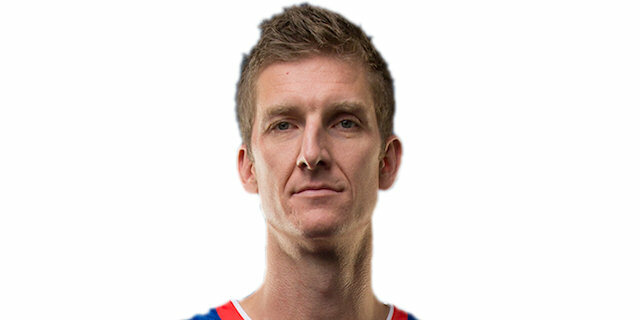 Pleiss started the game with a jumper and Schortanitis followed at the other end with a hook. 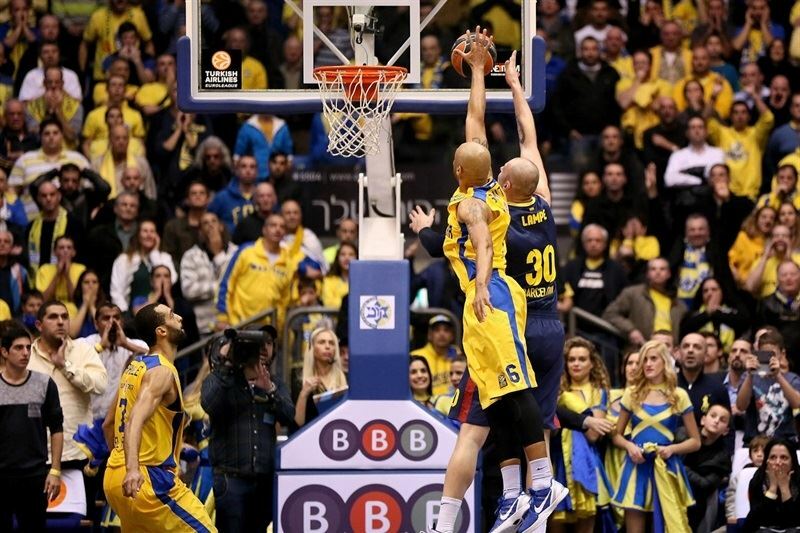 Maccabi really tried to go inside to Schortanitis, but the hosts managed only the one basket in the first two minutes. Smith and Schortanitis both made two free throws to increase the lead to 6-2. With Schortanitis going out, Tomic replaced Pleiss and Heuertas raced past his man for a driving layup. After a Randle layup, Tomic scored inside and hit a jumper to knot the contest at 8-8. Two Tomic free throws gave Barcelona the lead 8-10. Pargo’s basket after a nice move finally got Maccabi back on the board after 3:45 minutes without a point. 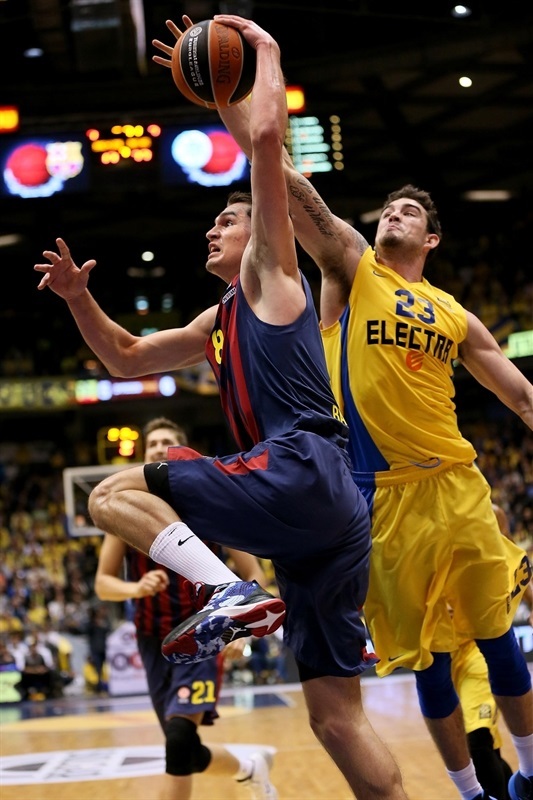 Tomic pushed his point total to eight points in putting Barcelona back ahead 10-12. 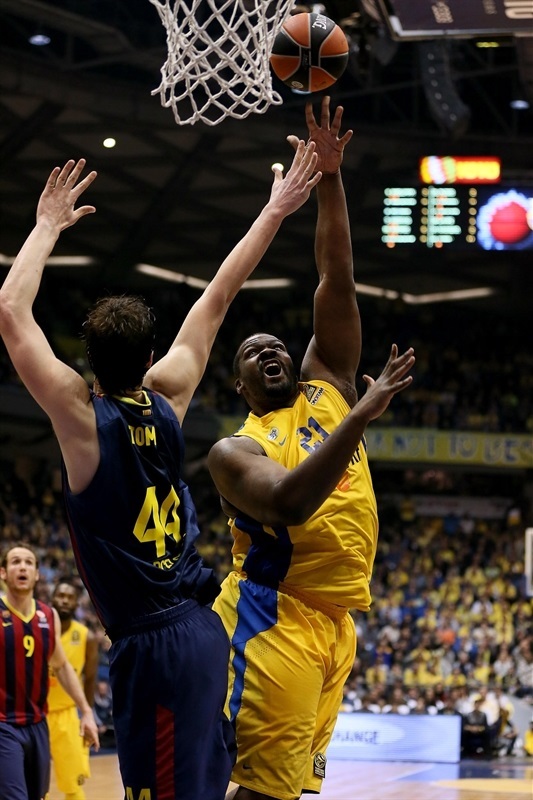 But Ohayon answered at the other end with a three-pointer and Pargo’s two free throws had Maccabi up 15-12. Maciej Lampe trimmed it to 15-13 with one free throw. 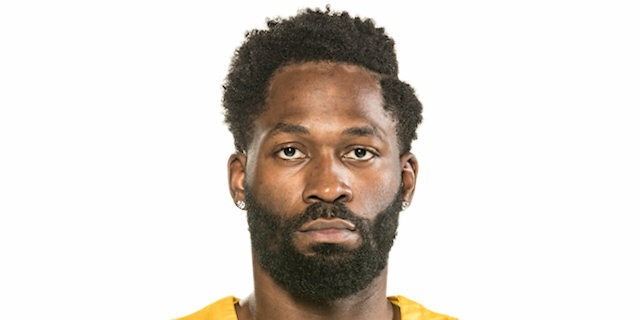 Joe Alexander scored his first points in the Euroleague with a layup after a pass from Pargo and th en the new man hit a jumper to push the Maccabi lead to 19-13. Barcelona finally scored more than two minutes into the quarter with Doellman hitting a left corner three to trim it to 19-16 – the guests’ first three-pointer of the game. 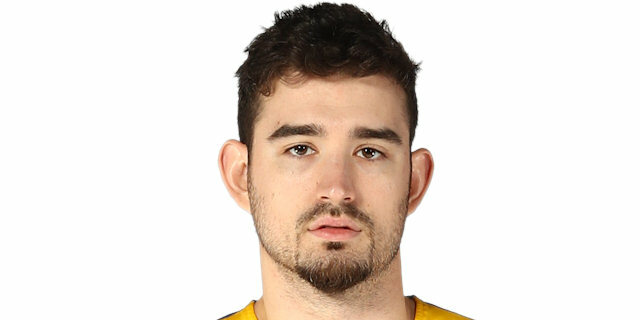 Abrines didn’t wait long for Barcelona’s second trey to make it 21-19. Schortanitis got out on the break for a layup but missed the free throw as Maccabi was up 23-19. 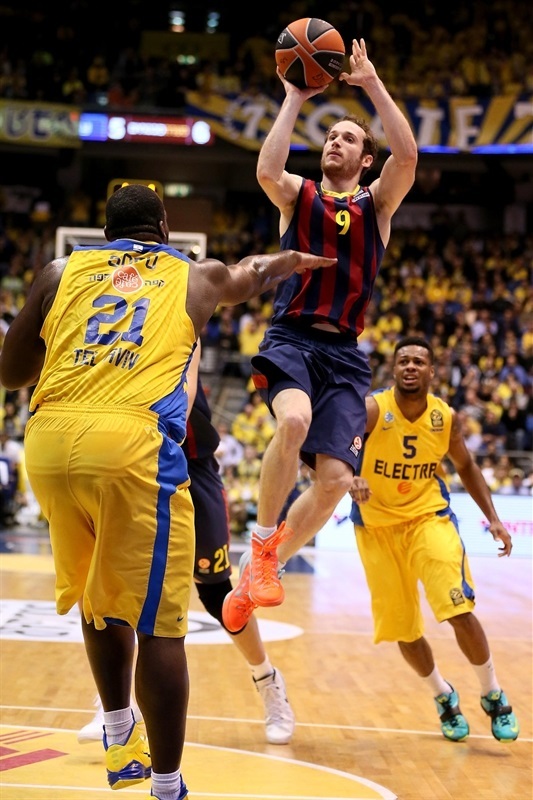 But Hezonja nailed Barcelona’s next three-ball to bring the team to within 23-22. Despite the Barcelona big men blocking a number of shots already, Schortanitis went up strong for a dunk over Pleiss and converted the three-point play to make it 26-22. Smith followed with a wide-open three-ball from the left side for a 29-22 lead – and a Barcelona time out. Jackson stopped the run with a jumper and Bostjan Nachbar also hit a jumper but the Spanish side could not get stops as Schortanitis scored inside and Randle put back an offensive rebound before another Smith triple from the left side for a 36-26 Maccabi advantage. Jackson’s two free throws cut the deficit to 36-28 at the break. Randle’s free throw started the second half and Ohayon’s layup pushed the lead to 39-28 – the biggest advantage in the game. 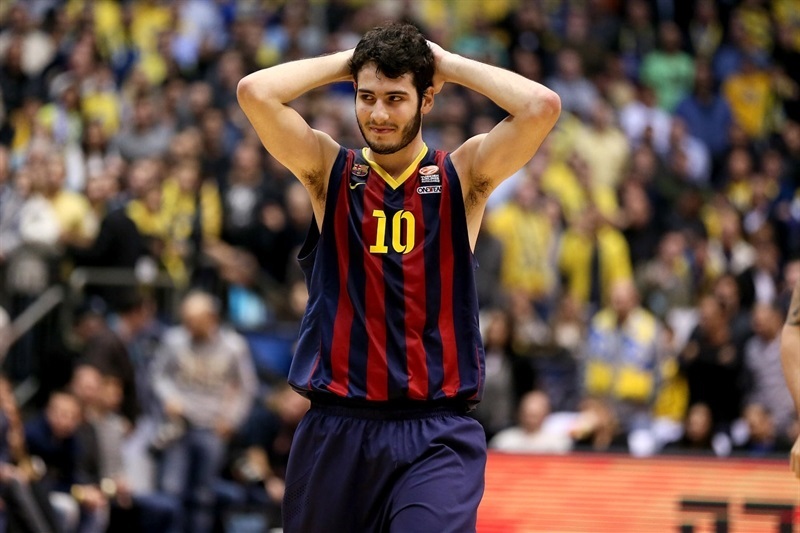 Tomic answered with a foul shot and Abrines nailed a triple before two Tomic free throws made it 40-34. Pargo was able to hit a really long three-pointer for a 43-34 lead. But Barcelona began using its pick-and-roll offense better with Heurtas hitting a runner in the lane and Pleiss laying in to trim the margin to 43-38. Doellman’s jumper cut it to 43-41 before Pargo stepped up to snap a 3:25-minute scoreless stretch with a tough layup. 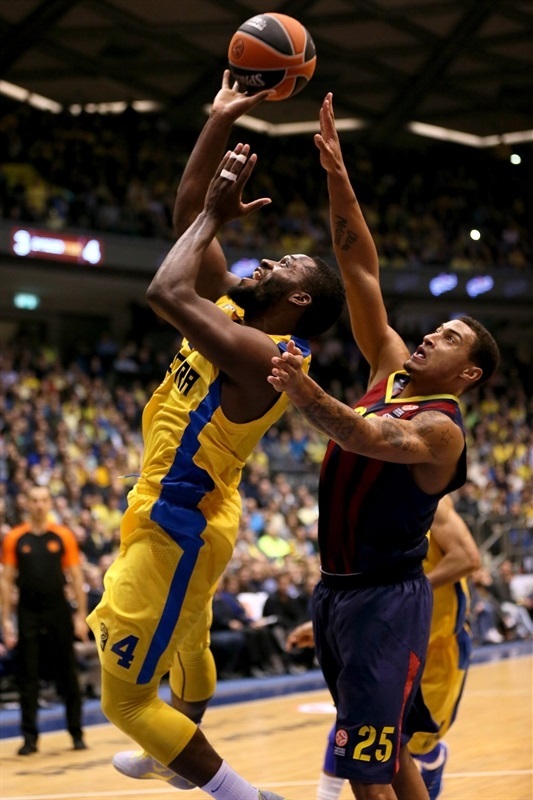 Pargo scored two more baskets in the lane to keep Maccabi ahead 49-45. Tomas Satoransky trimmed it to 49-47 but Marquez Haynes made a free throws and Nate Linhart finished the third quarter with a three-pointer at the buzzer off the glass for a 53-47 advantage. Thomas opened the scoring in the fourth quarter with a layup before Randle’s two foul shots to make it 55-49. 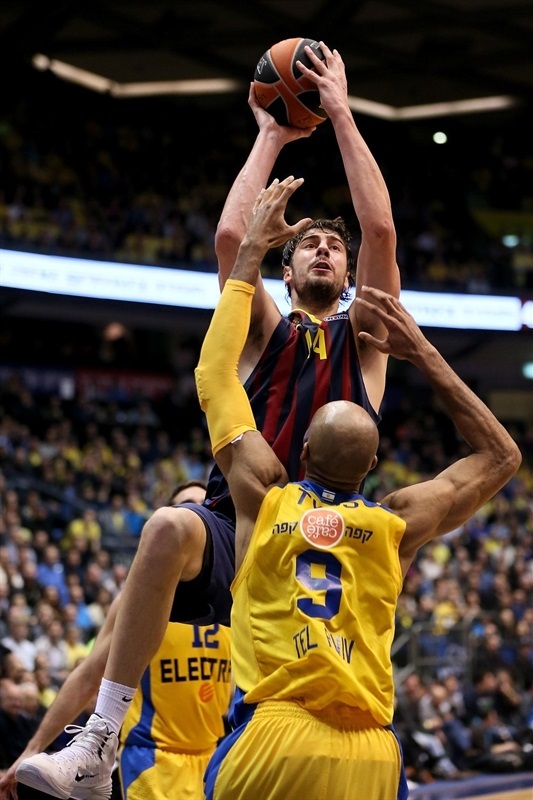 But Tomic made two free throws, Nachbar drained a three-ball and Tomic hit a reverse layup to push Barcelona ahead 55-56 – the guests’ first lead since 10-12. Smith answered with a three-pointer and Pargo’s acrobatic layup and free throw made it 61-56. 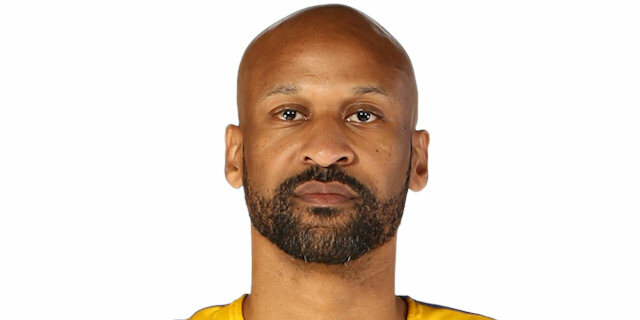 Barcelona could not score after the time out and Smith made two free throws and then Randle converted a tough layup on the break and free throw for a 66-56 lead – and an 11-0 run. Lampe’s jump hook ended the four-minute scoreless stretch to make it 66-58 with four minutes left. Tomic’s two free throws cut it to 66-60 with 1:50 minutes left. After Schortanitis missed two free throws, Hezonja knocked down a jumper to make it 66-62 with 69 seconds remaining – and a Maccabi time out. After two Smith free throws, Tomic hit a fine lefty layup and then Hezonja stole a pass from Ohayon and threw down a dunk to pull within 68-66 with 19 seconds left. Smith turned the ball over but came back to block Lampe with three seconds left. Pargo made both free throws with 2.4 seconds left to ice the game though Abrines was fouled with 0.4 seconds remaining and made two free throws. "This is the biggest victory of my coaching career, but it isn’t my win it is the team’s win. Before the game we talked about keeping them below 70 points and in the first half we played excellent defense. In the second half we made some mistakes – from tiredness and a lack of confidence – but it was a great win against a top team and I am happy that the fans came out to support the team. It is a game that can give the guys confidence that they can reach the Final Four. It was important for the team to show they can beat a big team. We spoke about this all week, first and foremost about playing a strong defensive game which we executed fantastically." "It was hard for us to get in the game. We made a lot of mistakes in the first half, missing shots around the basket and from three-point range. If you want to win in the Euroleague, you cannot play the way we did in the first half, with 29% two-point shots and 25% three-point shots. We stayed in the game due to our defensive intensity and not turning the ball over, which would have given Maccabi a lot of fast break points. Things were different in the second half even when we still made mistakes. We managed to get the lead, 55-56, and in this moment, an important one in the game, we missed many chances to score, picked up two key turnovers and Maccabi got again a 10-point lead. It was tough to return to the game again, but we did it and in the end, we had a chance to win the game. We played an option which is difficult to go wrong with, but we missed around the basket and it went wrong. No team is a favorite when they come to play here in Tel Aviv. As coaches we never see ourselves as the favorite – the most important thing is which team won and this time it was Maccabi." "It felt amazing. I was just trying to give energy on the defensive end of the floor and then run on the offensive end. I think I did that well and my teammates really helped to charge me up and the coaches had us fired up for this game so it felt good. I think this game will definitely serve as a boost for us. We know they are a tough opponent in the Euroleague so getting a win like this, especially a gritty one that we had to dig out was good for us and build momentum. Things got hairy there for a minute [at the end] but you try to relax and clear your head and we had guys coming up with big plays. Guys were getting rebounds and making plays so that was good." "I am excited about the way we played. We played really tough. For us to come out on top it means a lot for me to see our team build in that atmosphere and that moment. So you know, that’s big. This is only the third game of the Top 16 so I wouldn’t go as far as saying it is a season changer, but it is definitely a big win. We have a couple of tough games coming up, especially in the Israeli League and also in the Euroleague and we want to play tough just like we did tonight. We did a lot of good things out there and there were also times we struggled. That’s how it is for every team – there are ups and downs. What you want to do is find a way to rebuild off those downs and that’s what I think we did tonight and we just want to continue." "Everyone fought hard today. Barcelona is a good team but we gave a team effort and everyone gave their heart for the victory. We played really good defense in the first half, but the fact that we believed in ourselves throughout the game helped us win. We have high goals as a club, but we take this season one game at the time." "They are a very good team and well coached. We missed a lot of open shots early on, which was disappointing but it is just part of the game and we have to bounce back, go back to Spain and hopefully get a win on the road. We have been playing with injuries all season and we expected it to be hard. But we have to give credit to Maccabi – they played well tonight. There’s a long way to go, a lot of basketball to play." "I think that we played quite well on defense but shot with low percentages, from two-points and three-point range, and it is impossible to beat Maccabi on the road shooting like that. In the end, we had options to win but didn't capitalize. It is a tough, painful loss but we have to keep going because there are a lot of games left in the Top 16."